In 2009, five new creations joined the collection, each offering the same high level of specification as their illustrious predecessors. 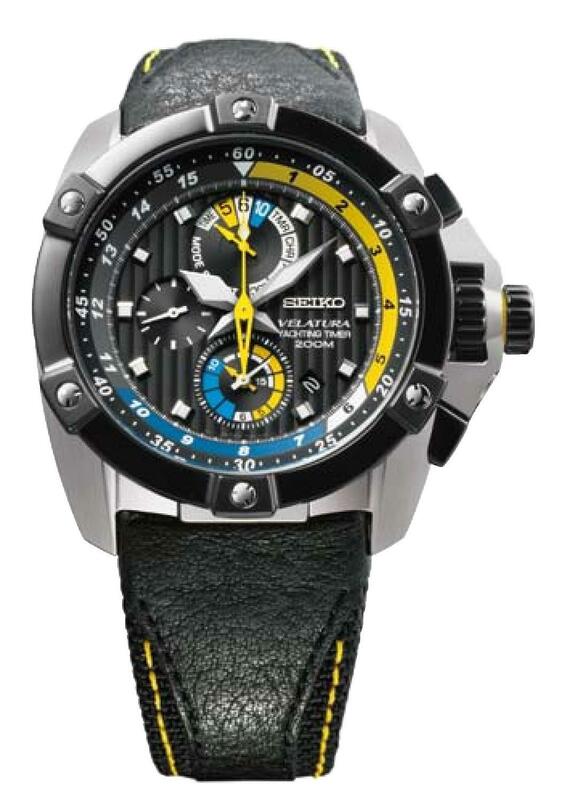 For 2009, SEIKO’s support of the sport of sailing at the very highest level is also expanded. In addition to renewing the agreement with the 49er Association, SEIKO has concluded a new agreement with the 29erXX Association whose new-design skiffs are fast becoming accepted as the most exciting new class for the world’s leading women sailors. This new agreement is celebrated in the launch of a new series of Velatura models for women. The undoubted star of the 2009 Velatura collection is the new Yachting Timer. The new version is even more robust than its 2008 predecessor. The case is made from titanium, covered with a new hard coating. The watch has a new screw-in crown system that ensures water resistance to 20 bar and it features a new combination strap in which leather and ballistic nylon are combined to offer a unique blend of elegance and strength. The dial with the pre-set start times highlighted in bright yellow and blue for even easier legibility. A new look graces the Velatura women’s collection for 2009. This striking design combines functionality and elegance to create an unforgettable design. The 12-hour chronograph caliber sits within a 10 bar water resistant case, and 16 diamonds add sparkle to the mother-of-pearl dial.